“U.S. citizens should exercise caution and remain aware of their surroundings when traveling to areas where there are heightened tensions and security risks.”-U.S. Department of State. That one sentence is listed under every travel warning and alert listed on the Government’s website. And if you’re actually willing to listen to anything on said page, you’ll be missing out on about 46 different countries (current listing count). I would never miss out on life and seeing the world because my government (who I don’t care too much for anyway) says I should. I should miss out on flourishing throughout this thing called life because Donald Trump wants to be an idiot? I don’t think so! There is danger anywhere, even while traveling within the U.S.
Now don’t get me wrong, before traveling I do actually check the website. But it doesn’t instill fear in me to where I don’t end up going. It’s just smart to be informed. And that is exactly what the government wants to happen. They want to instill just the right amount of fear in you that you end up thinking heavily about even going and end up selecting a different destination altogether. Someplace “Safer.” Whatever that means. DO NOT LET THIS HAPPEN! The old saying is true, people fear the unknown. I like to say that people, especially Americans, fear ignorance. Majority of the people you’ll speak with haven’t traveled to unknown territory, yet will turn their nose up when you tell them where you’re going. You tell them you’re going to Africa, their mind automatically goes to “make sure you get shots,” or “Aids!” Tell them you’re going to Israel and it’s, “ugh be careful, I’m way to scared to go there. Aren’t they killing people over there?” Or my personal favorite, “it’s ISIS over there?” The media is there to pollute your mind, to keep you misinformed and ignorant and most of all scared. That’s why I keep my travels close to the vest until after I come back from my trips. Individuals will try to project their worry, their fear, and their ignorance onto you. You gotta stay prayed up, just to block out all the negative energy surrounding you from your so-called “friends.” Bloop! Yep I said it. Either they are ignorantly fearful to travel themselves OR they are jealous that they aren’t traveling. Traveling to Israel was the greatest experience of my life. This trip showed me just how the media or government can portray something that isn’t even close to the truth. When you think about Israel, you think dirt roads, buildings that look like they could collapse at any moment, people trying to preach to you on every corner, the holiest of people, poverty, tv ads with the little kids and the celebrity spokesperson asking you to donate money or adopt a child. I’m here to dispel all the fallacies. Let me give you proof of the unknown. The media doesn’t show the amazing beaches, the grand sunrises or sunsets, the great city of Tel Aviv, the paved roads in Jerusalem, the cleanliness of the country, how cultures are interwoven to create this market, or how the different beliefs actually bring people together. 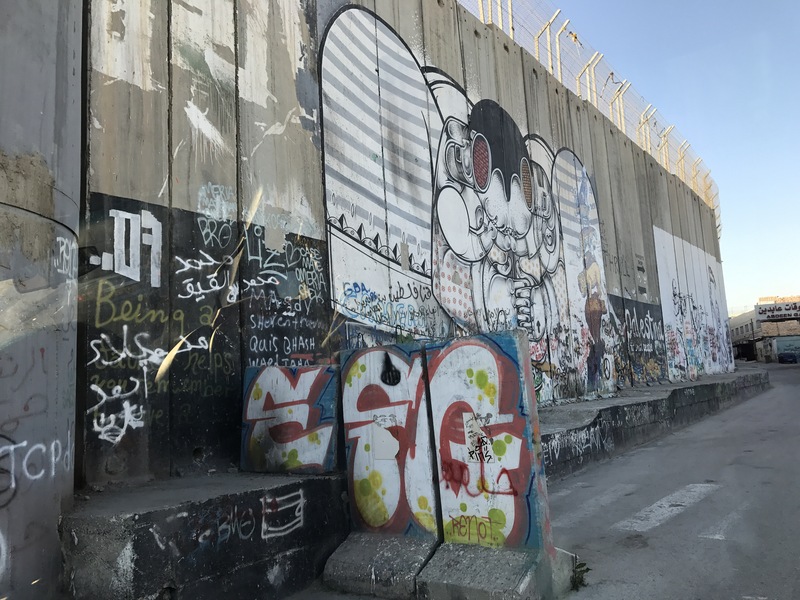 They try to pollute your mind with the divided tensions between Jerusalem and Bethlehem, the wall in Bethlehem separating Jerusalem from the West Bank, the Israeli-Palestinian beef. The airport! Have you ever heard the government or media shine light on the Israel airport? The answer would be no. But I bet you even though the media has never mentioned it, that doesn’t keep you from automatically thinking that it has to be small and worn down. False! It is one of the largest, cleanest, and most beautiful airports I’ve ever been in. Gorgeous airport. That’s weird that an airport can be gorgeous, but it’s true! It’s also very easy to navigate. They have a great food court + mini shopping mall. You can get luxury brands all the way down to Bath & Body Works or little souvenirs. Additionally, getting through customs, coming or going, is a breeze and pretty quick. Let’s start off in Tel Aviv. About 20-25 minutes from the airport and about an hour from Jerusalem. This is where most of your well known hotels will be: Sheraton, Ritz Carlton, Hilton. Didn’t know Israel had 4/5 star hotels did you? Most are right on the beach and have beach/sea views from the guest rooms. Much like the picture below. You won’t get this picture anywhere in America. 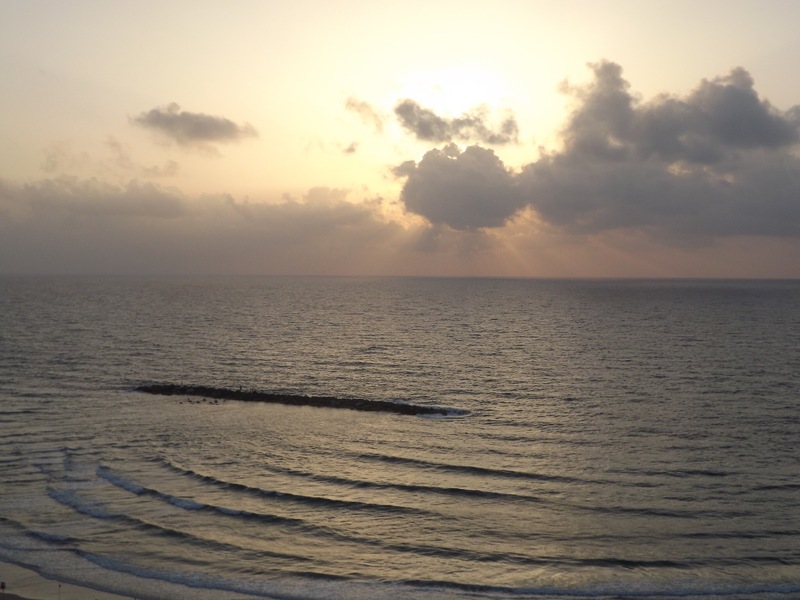 Raise your hand if you even knew Israel had beaches…🙋🏾….not that many will. I got to wake up and go to sleep to this view for a whole week. 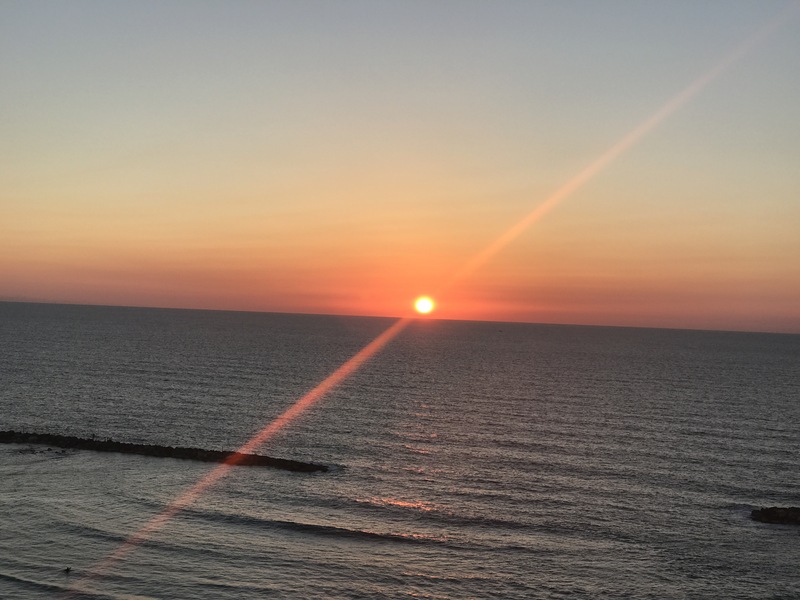 The sunsets in Israel are something straight out of a movie! Again, all photos are unfiltered and have not been retouched at all. All taken with an iPhone 7 Plus. Tel Aviv is also good if you’re looking for more Americanized food. Right down the street from the Sheraton Tel Aviv is the cutest little burger joint! I actually forget the name but it is literally 3 blocks down. They even serve meat + hot food during Shabbat (major plus for me as my hotel participated in Shabbat and I could rarely get hot food 😩). They serve fries, onion rings, burgers, jalapeño poppers, and other items that give you the comfort of home. One of the best meals I had from my vacation was from a restaurant about 10 minutes walking from my hotel. 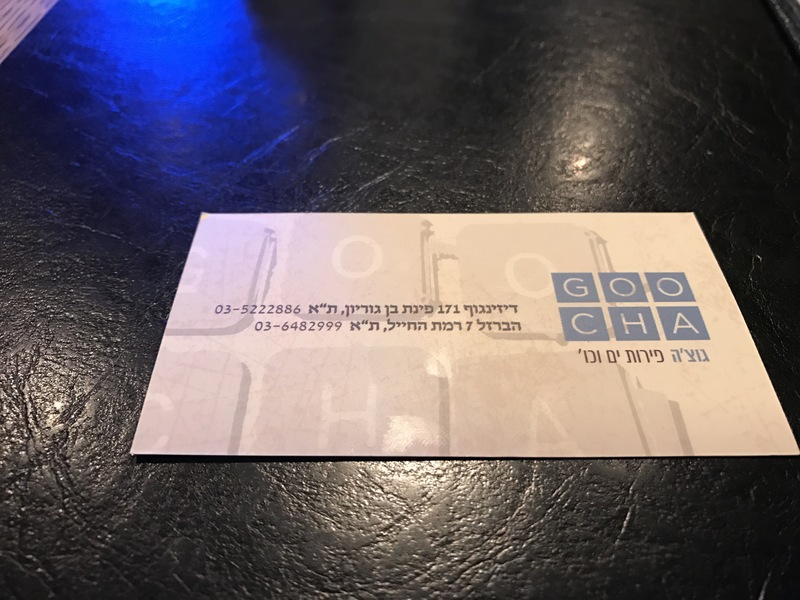 If you’re ever in Tel Aviv, please check out this restaurant! I will be doing a restaurant/food Review on this restaurant as well which will be featured on my site. Breakfast and dessert are also non traditional Israeli food. More Americanized than anything. TIP: It’s also better to use a credit card in this part of town than anywhere else. Save your Shekels for when you travel into Jerusalem, or for public transportation as most buses and places in the Holy City only accept their currency. I describe Tel Aviv as “where the sinners go.” Relax! It’s meant to be funny. I say this because it has a very different contrast and energy then when you step into Jerusalem. It’s easier to be yourself in the Tel Aviv atmosphere than in Jerusalem. 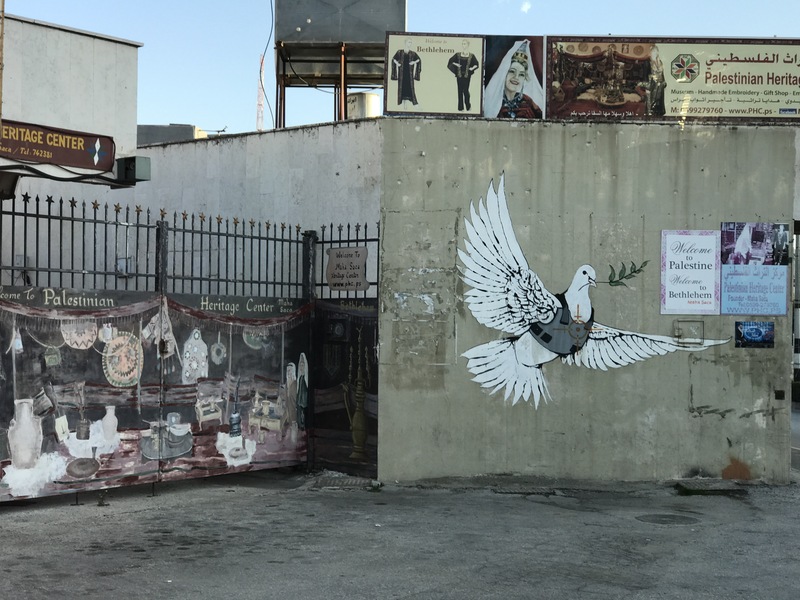 If you curse, you can do that in Tel Aviv and not think anything of it really, but when you step into Jerusalem it’s like your mind shifts and you become more cognizant about where you are and your surroundings. They don’t call it the “Holy City” for nothing. It’s common to walk down the Tel Aviv streets and see scattered business cards of strip clubs or escorts 😳. I was rather shocked myself when I saw that. But hey 🤷🏾‍♀️ we do the same thing here in Chicago, only the advertisement here is on large billboards. So can we really judge? Another commonality, every ethinicity wearing dreads and skateboarding. I saw so many tatted + dreaded up white men to last me a very long time. When I facetimed my folks back home while on the beach, they said, “it looks like the women are wearing bikinis.” Another myth to dispel. 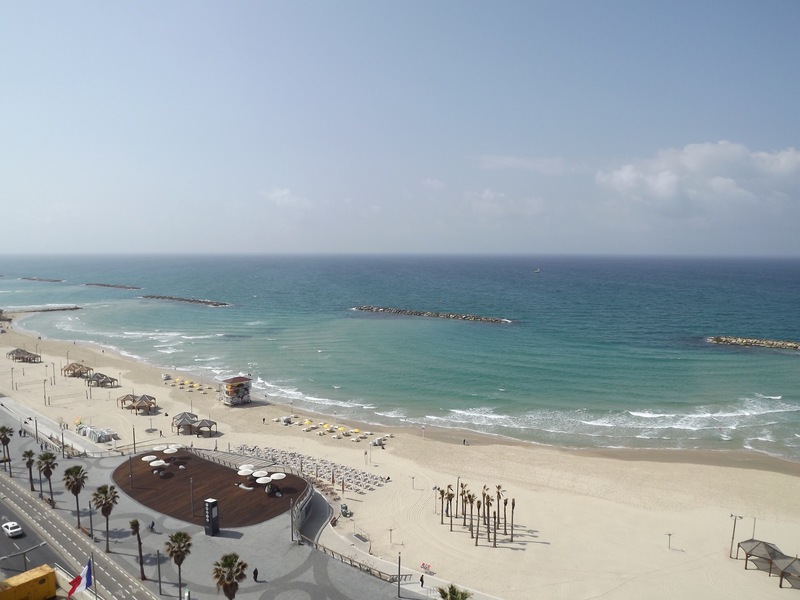 Tel Aviv pier/beach is just like any other. You will see women in bikinis and men with out shirts. They are not in garb down to their ankles shunning those who dare to have any part of their bodies showing. People jogging left and right, kids playing games (frisbee is popular), and those who came just to hang out and drink at the beach! What!? They serve alcohol!? 😱 YES THEY DO! Regular beer to mixed cocktails. 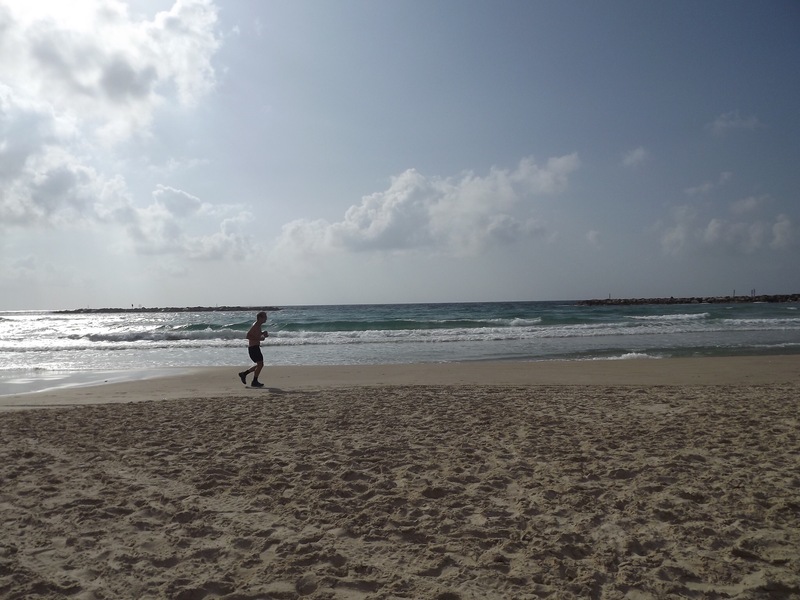 If you placed a snapshot of people at the beach in Tel Aviv and people at the beach in Florida, you would not be able to tell the difference. Walking around by the hotels (common and uncommon hotels by the beach are available), you can find anything from restaurants, to a convenience store, to high boutique nail salons. Me being the foodie that I am, I mainly looked for potential spots to eat and took pictures of that. They also have a great shopping mall not too far from the hotels, about a 20-30 minute walk. While walking, you run into so many things or places til when you do finally reach the mall, you don’t even realize you’ve been walking for 30 minutes. The mall is huge! They were working on expanding it even further when I visited. I definitely did not walk around the whole thing. But you will run into very familiar brands: Nike, Zara, Adidas, H&M, McDonalds, nail salon + other brands that you won’t find in America that have great items. Side note: Their condo buildings are to die for! 😍 This specific one is located right across the street from my favorite breakfast spot I visited: Benedict. Which happens to be open 24 hours and you can grab breakfast any time of the day! 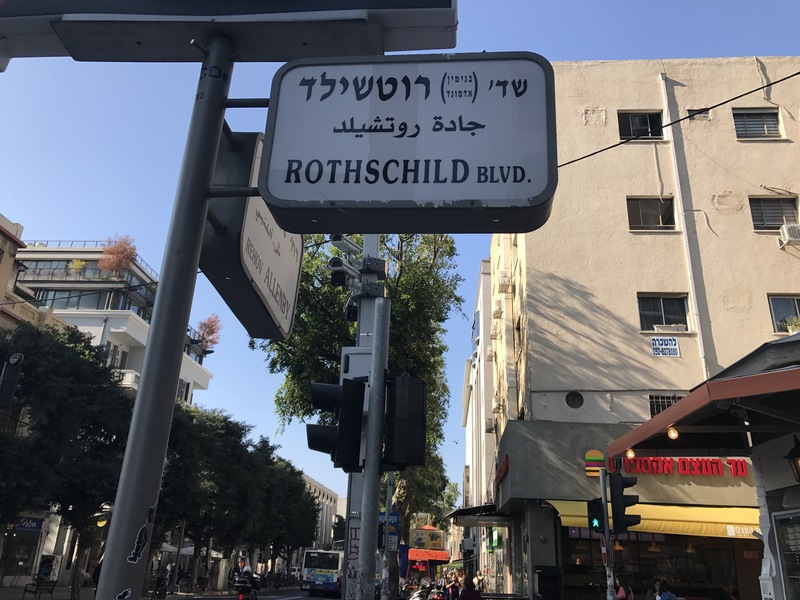 About 10 minutes from the hotels is Rothschild Blvd. It is one of the most affluent and expensive streets in the city + one of the main tourist attractions. Must See while visiting! You can actually follow that street to get to the main mall. Tel Aviv is the town for nightlife. Now I’m not a huge club person so I did not make an appearance at one, but they are close by and play different genres of music. A friend and I did walk into one bar but did not stay. They usually charge a cover, but we were able to get in for free. Bring your passport with you. My whole premise in going to Israel was to go to Jerusalem. The Holy City. It is customary to dress accordingly. Especially if you plan on walking into any of the churches or Holy monuments. Temps can get very warm so I recommend loose caftans which is what I wore and was fine for the most part. There is no dust flying around as one would think. Shoulders should be covered or bring a shaw you can put around you when necessary. It is also customary to put on a head covering when entering the churches or Holy sites. I did not do this, but brought a head covering just in case someone were to say anything. 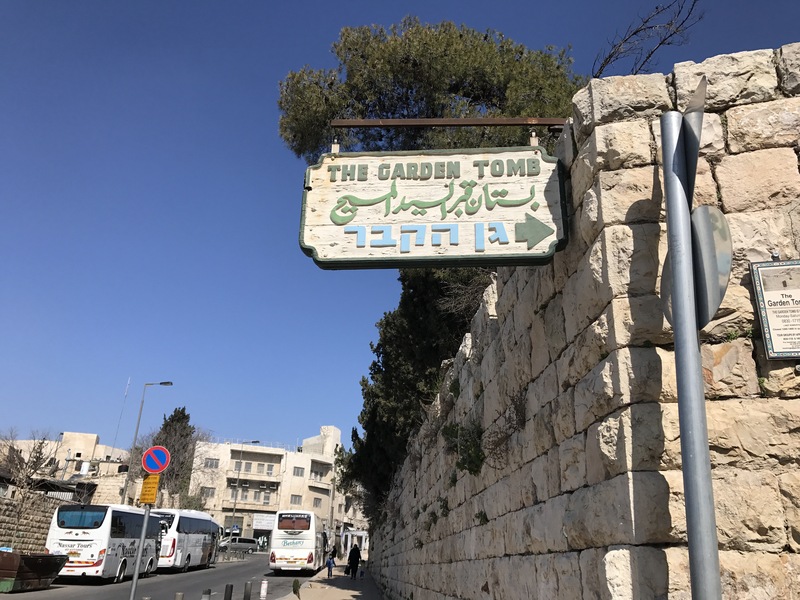 I recommend NOT going to Jerusalem on a tour. One of the worst mistakes I made. The tour itself was not bad, very informative, however, as with most tours, they are under specific time restraints so seeing everything + being able to get pictures, video or see every site is impossible. Configuring public transportation is pretty easy. The central bus station is about a 10 minute taxi ride from the hotels. You can take the express bus into Jerusalem or they have mini buses you can get on. Price is about 16 shekels which is about 4 US dollars. That’s for the regular bus. The mini bus only hold up to 10 people so get there early. I had planned to take the Mini Bus, however when I got to the bus station and asked around on where to catch them, no one knew what I was talking about. So, hence how I ended up on the regular bus. You can only pay in shekels though so make sure to have money. You can pay directly on the bus, kind of like the CTA buses in Chicago or other cities. 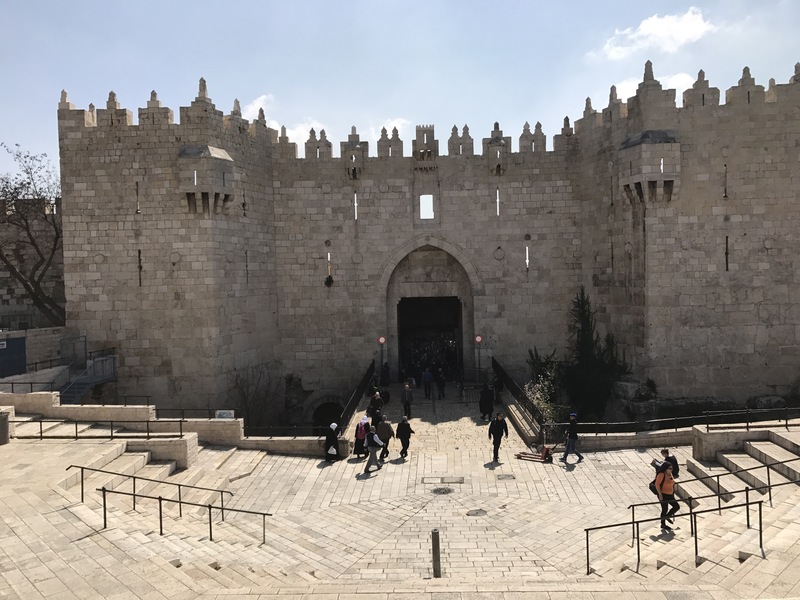 I had to double back to Jerusalem alone the next day after my first tour there just to make sure I saw everything I wanted and grab some good pics and video. Uninhibited. It is in this city that my perspective on life, cultural differences and religion has been forever changed. The 1st stop on my list, The Garden Tomb. 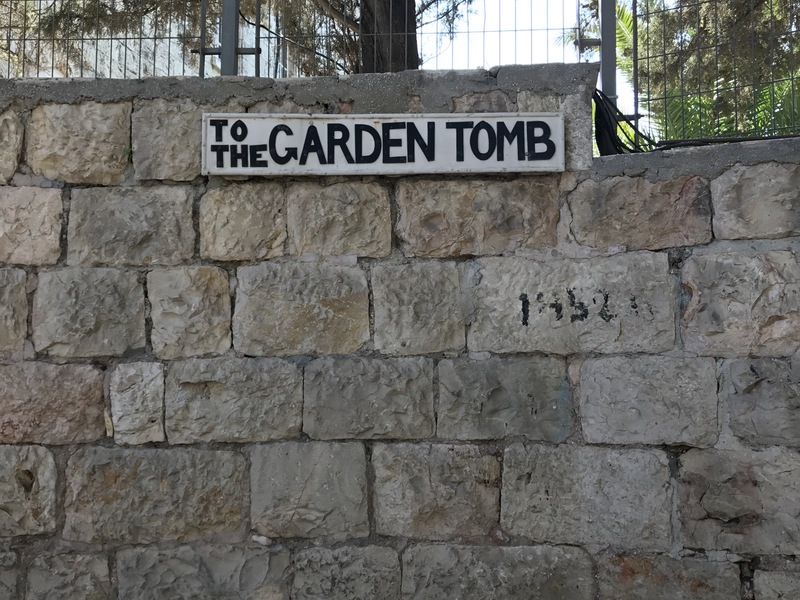 This is where I had equated Jesus’ tomb to be, not the well known Church of the Holy Sepulchre. 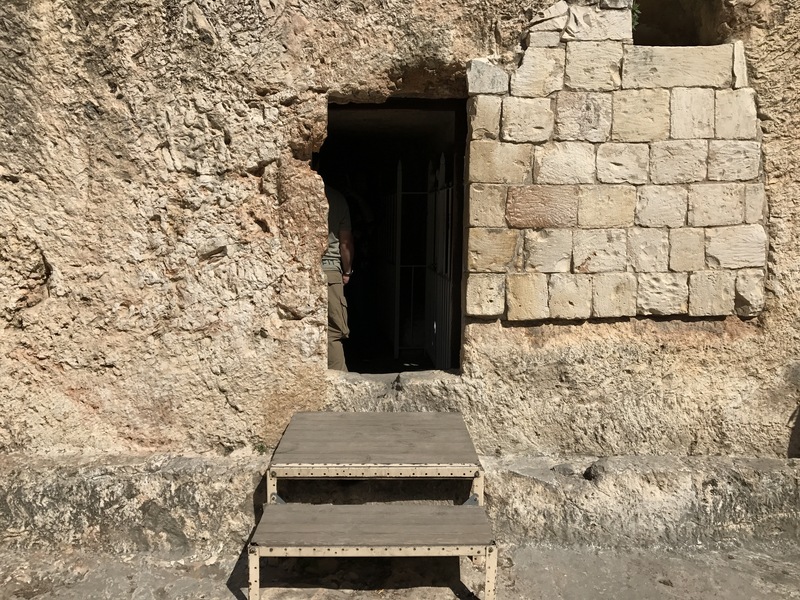 I had previously seen pictures and videos of the Garden Tomb and it always looked very old and to be honest kind of dirty. This could not be further from the truth! The entire surroundings of The Garden Tomb are beautifully landscaped and well kept. These grounds are maintained by a Christian Charitable Trust. The only souvenir that I wanted to bring back for myself was a rock. A pebble. 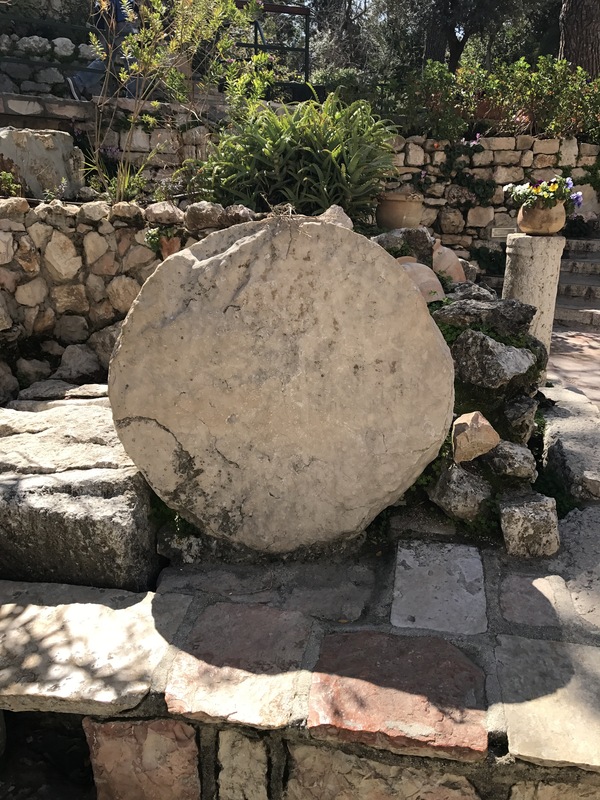 It actually frustrated me a little bit that the roads weren’t made of rocks or stones like the media would have you believe because it was difficult for me to find my rock at either the Garden Tomb or the Church of the Holy Sepulchre. 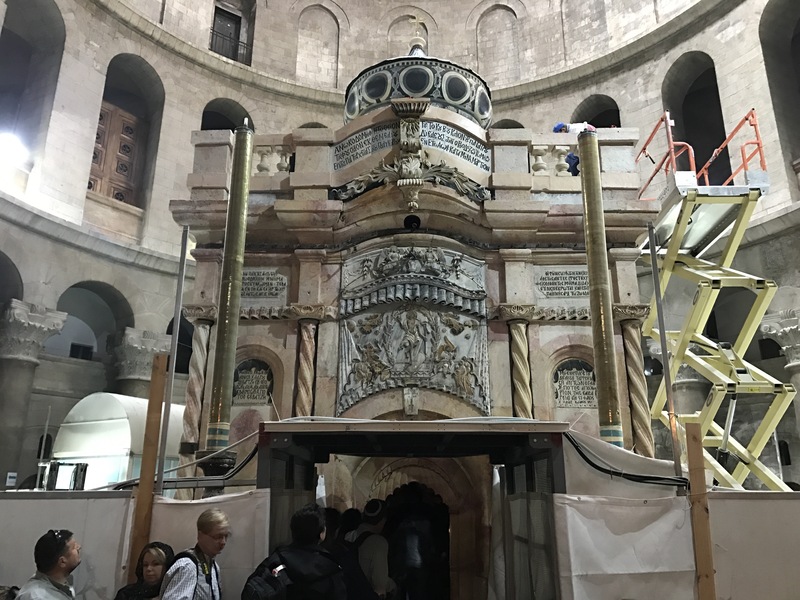 The most significant spot is Jerusalem has to be the Church of the Holy Sepulchre. We had visited this on the guided tour but there was not enough time for me to go inside the newly discovered tomb. So when I went back the next day, I knew I had to go inside. It was walking through these different quadrants and seeing what each one had to offer that helped to shape my perspective to what it is today. P.S.- They have very high-trained, ready to fire, military surrounding all quarters. I felt more protected than scared. You don’t bother them, they don’t bother you. They also have police everywhere which you can quickly and easily identify as they all wear huge vest that say POLICE. Pretty obvious. 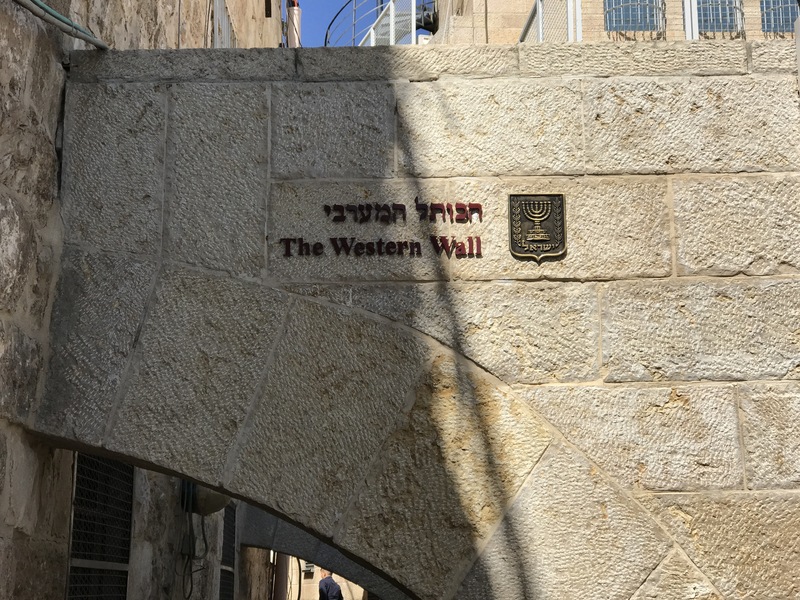 The Jewish Quarter (or Dung Gate) is probably the most popular or well known in my opinion, only because it houses the Western (Wailing) Wall. What doesn’t the media show you about this spot? They have security that one must go through before entry. Metal detectors and bag scanners. Leaving you feeling like you can enter safely without fear of the unknown. This place was breathtaking, and it wasn’t even so much the view that takes your breath away. It’s the feeling of prayer and gratitude that overcomes you upon entry. Touching the wall for me was surreal. I wept on impact. That’s how strong the force is. Keeping in traditional customs, I prayed and then laid down prayer request from myself and my family. My heart is so full knowing I was able to bring their prayers/letters to God along with me and lay them at the wall. On my guided tour the previous day we had gone through the Christian Quarter. 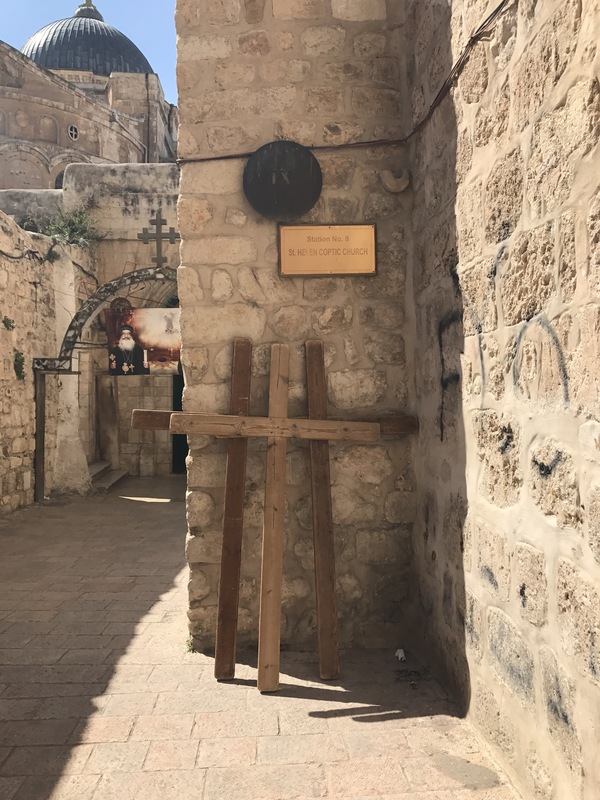 Most commonly known for the Via Dolorosa + prominent “stations of the cross”- the path Christians believe Jesus walked to his crucifixion. 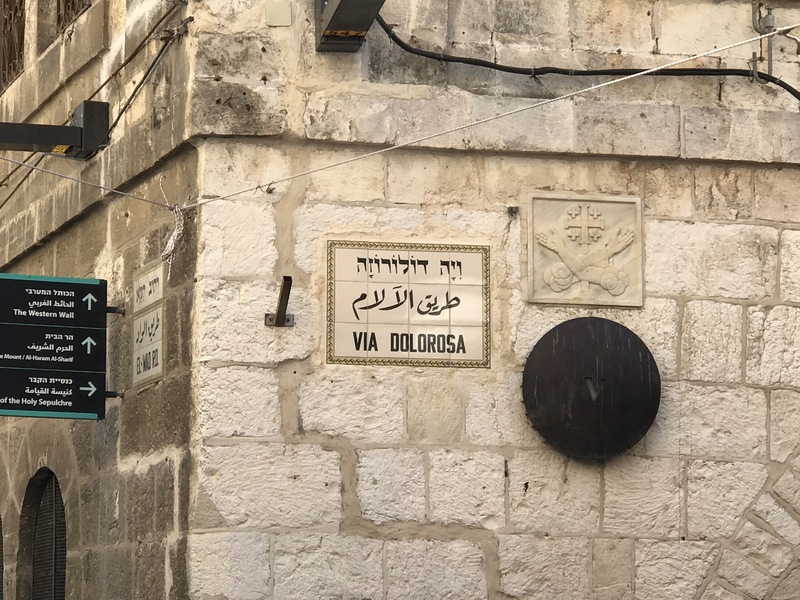 It is said that all roads in the Christian Quarter lead you right back to the Via Dolorosa. 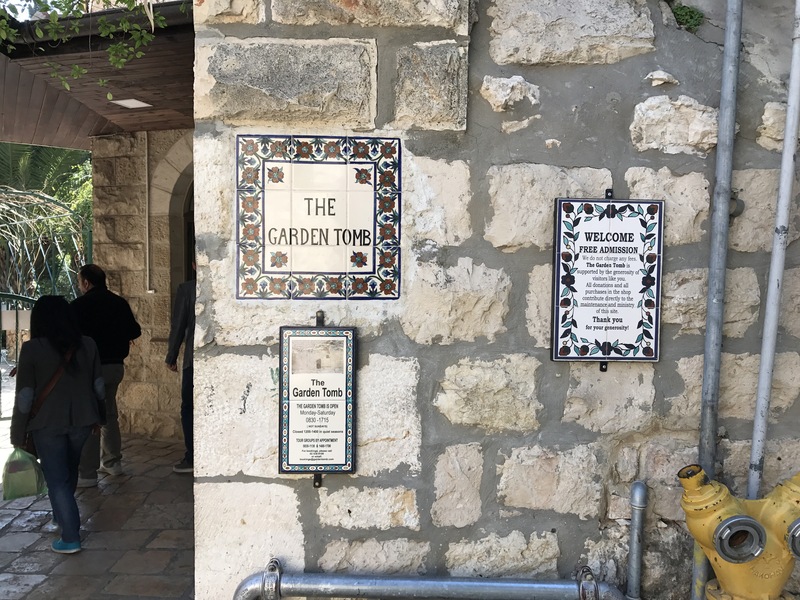 As you can see in the background of the 1st picture above, there are signs all throughout each Quarter directing you where to go to get to each site, as it is very easy to get lost within the Quarters. 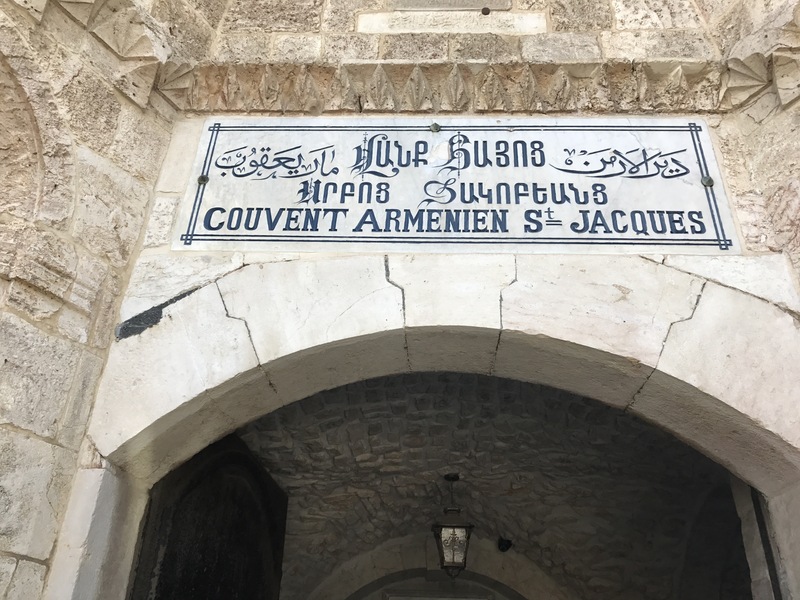 Crossing over from the Christian Quarter to the Armenian Quarter, you go through Jaffa Gate. Also pretty well known. I did not spend much time in this Quarter, but I did walk through. 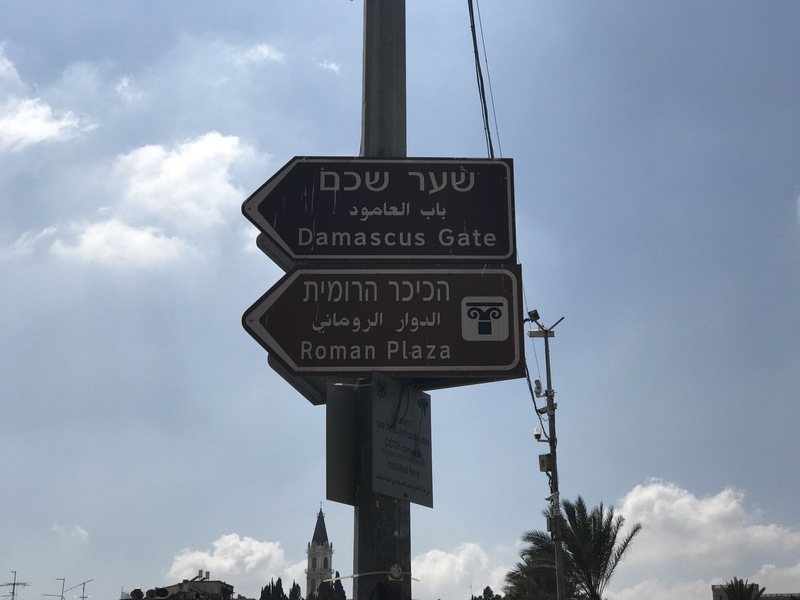 If you go the opposite direction from the Christian Quarter, you will run across Damascus Gate. You will then cross over into the Muslim Quarter. The largest and most populated Quarter. The Muslim Quarter was actually my favorite. Only because they have the huge market souk in their Quarter. 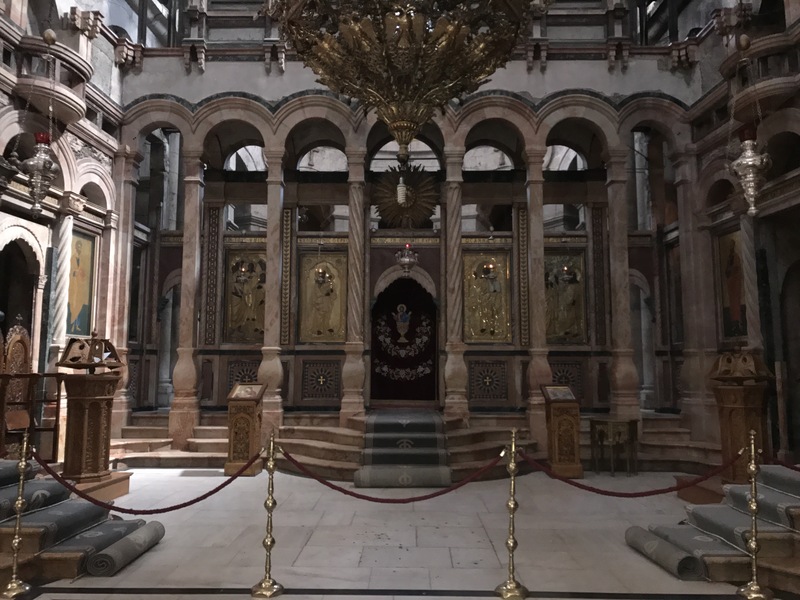 From the picture above, if you walk through the entrance and make a left, you can walk through the souk with signs leading you to the Church of the Holy Sepulchre. 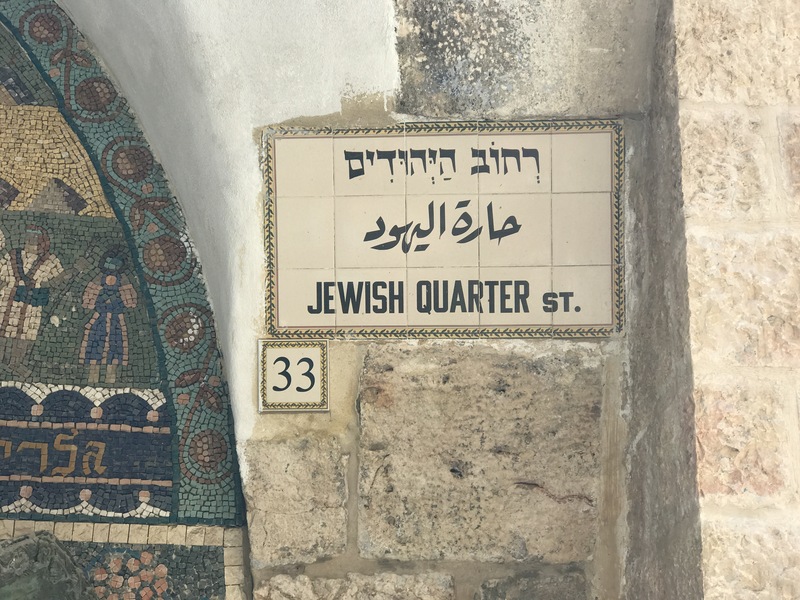 If you go right from the entrance, you’re back in the Christian Quarter. The Christian and Muslim Quarter share the quickest/ easiest access to the Church. Walking through these different quarters you think, “Wow, these people are so different but they coexist and serve One God!” That’s what opened up my eyes. The media would have you believe that they kill one another for territory everyday, but it’s just not true. Everyone stays in their own lane. They don’t cross into each other’s quarters but the Church is the middle meeting ground and anyone is allowed in there. In America, you hear the words Muslim and Christian and Jewish, and you never stop to think that in some part of the world, all these different religions can serve 1 God. All at this one church. It truly is amazing to witness. How can people that are so vastly different, have anything in common? They coexist over there better than we ever will here in America. 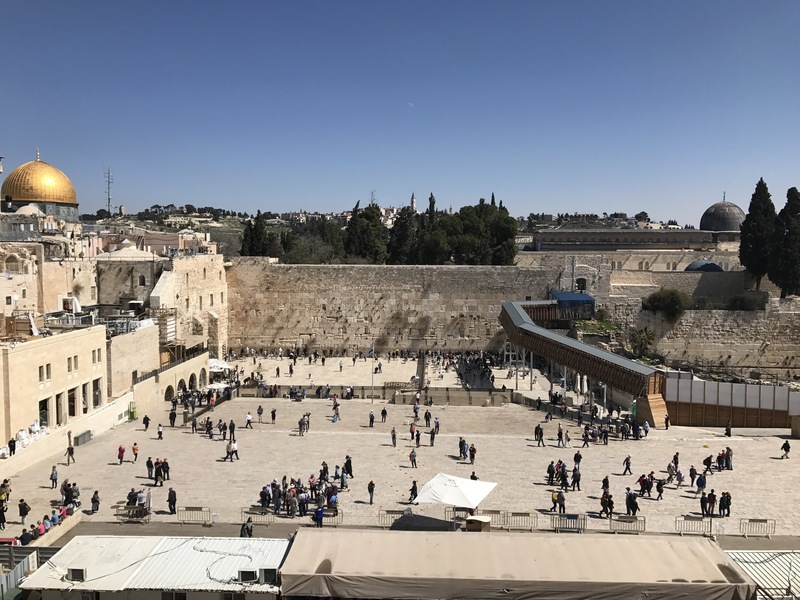 Not only do you have the citizens that live in Israel that are so different, but add on top of that all the tourists that visit every day that are from different worlds as well. And contrary to what the media or government tells you, they don’t bother you! I am a 25 year old black woman who traveled to Israel alone and came back in 1 piece. Now, don’t go over there and be reckless, that’s never a good travel practice. Be smart and aware of your surroundings at all times. Be cautious but not afraid or fearful. Know before you Go is always the best policy. You don’t bother them, they won’t bother you. Another good thing about going back to Jerusalem by myself? Nobody tried to sell me anything, even though they knew I was a tourist. 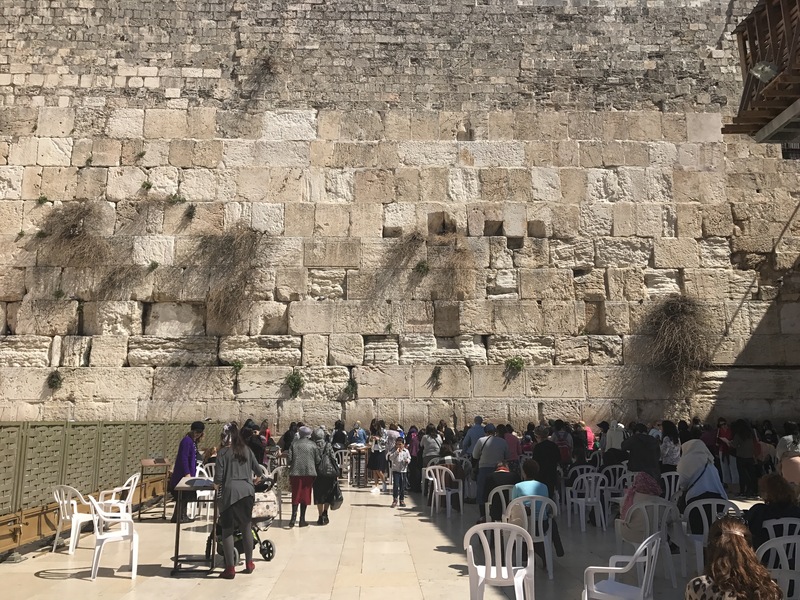 When I went to Jerusalem with a tour group, it was like a cattle call when we walked through the Muslim Quarter. Every shop owner trying to get us to purchase. We were warned to keep our belongings close and our pockets clear of money or passports. Staying in Jerusalem can get pretty pricey if you want to stay in a nice hotel. They don’t have a lot of “name-brand” hotels so to speak in the city. They do have hostels that are fairly priced but, I personally would not stay there. 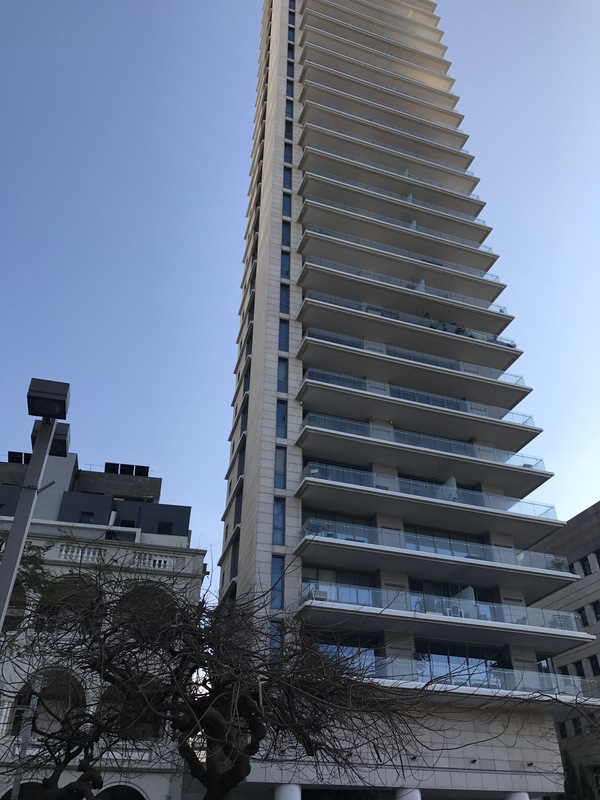 It’s more economical to stay in Tel Aviv and take the bus into the city + you get the gorgeous views of the beach, sea, and sunsets in Tel Aviv. It’s best to pack light snacks + water when traveling into Jerusalem. I didn’t see a lick of American food anywhere. It is traditional food. Which, there is nothing wrong with that if you’re that adventurist, I’m just a picky eater. Sidenote: I did see the tastiest, reddest strawberries ever in my life at the market in the Muslim Quarter. They were glistening y’all. 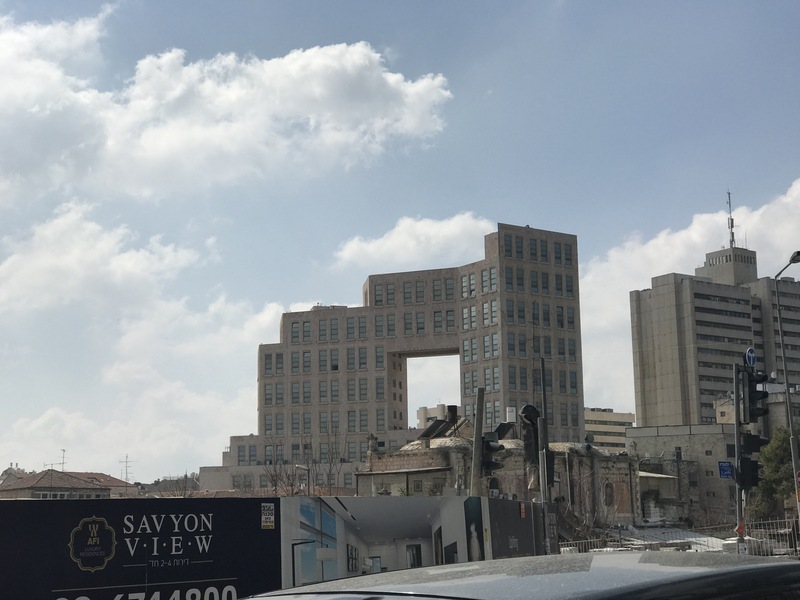 About a mile from Damascus Gate, you run into what I like to call, the Michigan Avenue of Jerusalem. Very affluent and popular, well-known stores. Basically their mall. You’ll also run into gorgeous condos + Palm Trees like the ones below. That’s right! 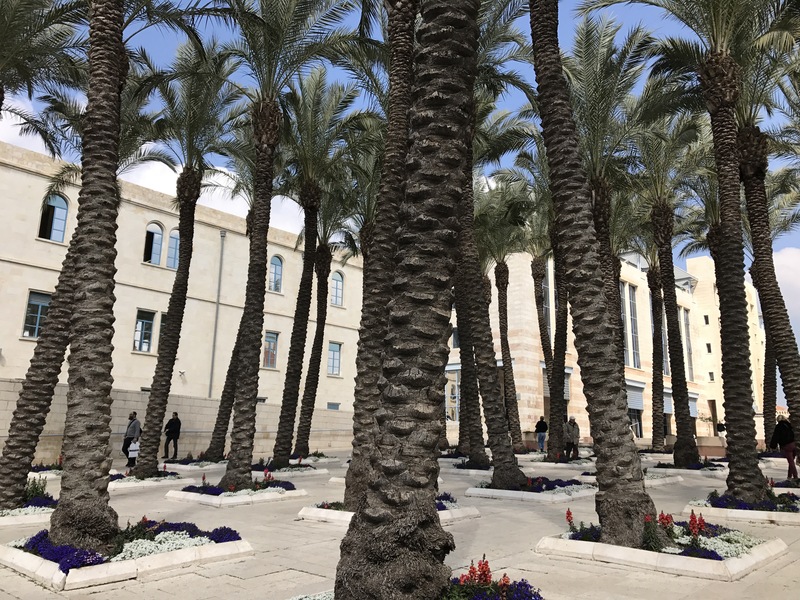 PALM TREES IN JERUSALEM! IN ISRAEL! Who would’ve thought!? 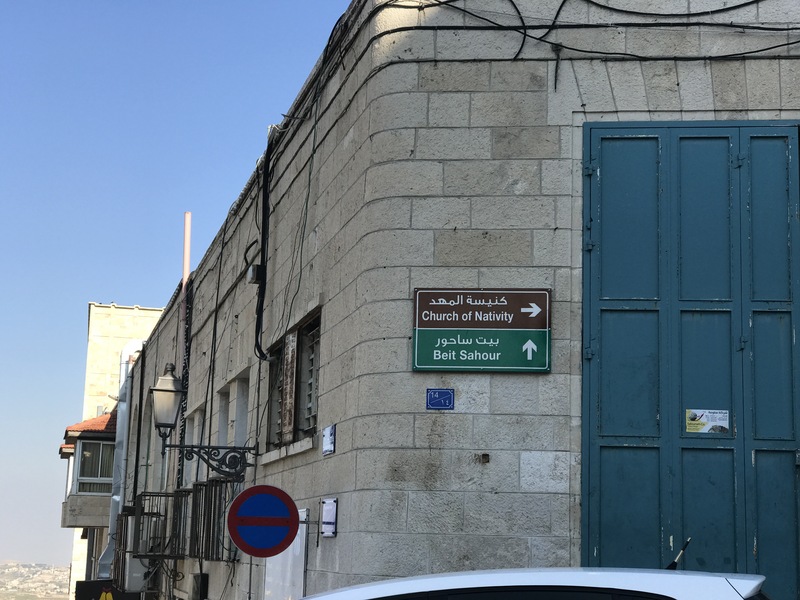 I do recommend taking a tour to Bethlehem. Now make no mistake about it, there is tension between the Israelites and the Palestinians. But in my opinion is fine to travel into with a tour group. You will not be in Bethlehem long. That part of the tour is about 30-45 minutes not including travel or souvenir shop time. 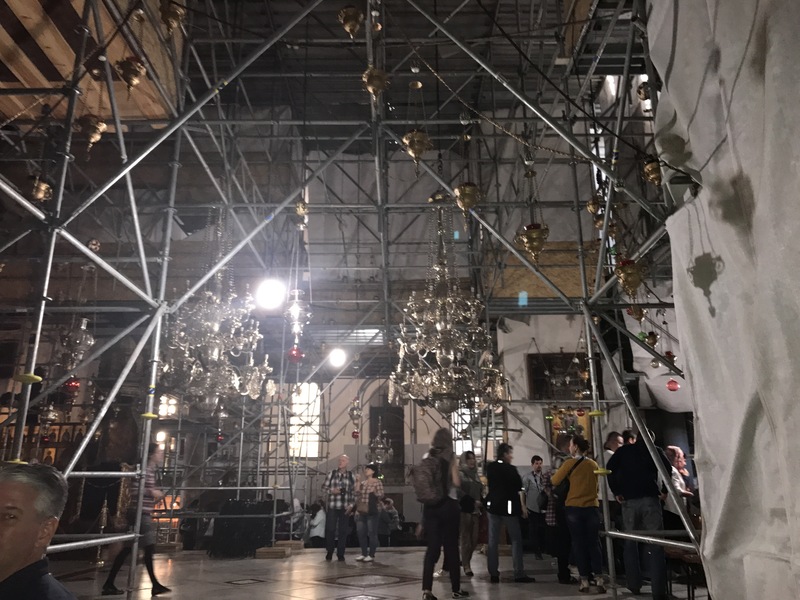 Not a whole lot to see over there other than The Church of Nativity + the new Banksy graffiti wall + and the new Banksy Hotel!! Yes! That’s right, there is a Banksy graffiti Wall + Hotel which you probably didn’t know about because the news doesn’t cover cool things like that. Named “The Walled Off Hotel, this hotel is littered with Banksy art that he did mostly himself. However, every view from the guest room windows is of the West Bank wall. Separation at it’s finest. Smh. I have not been everywhere in the world (yet), but the most significant place I will have ever traveled will be Israel. I’ve been talking about going since I was 16. Bucket list trip to end all bucket list trips! In 2016, God moved in my life in ways I never even imagined and my relationship with him strengthened more than I ever thought it would. Thanking Him through my prayers seemed to not be satisfying me anymore. 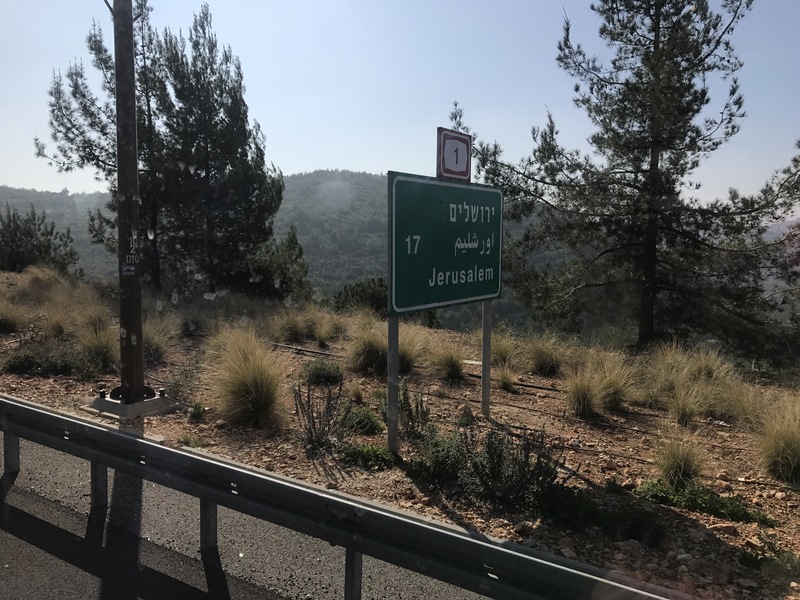 I felt going to Israel, going to Jerusalem, would be me saying “thank you” in person so to speak. 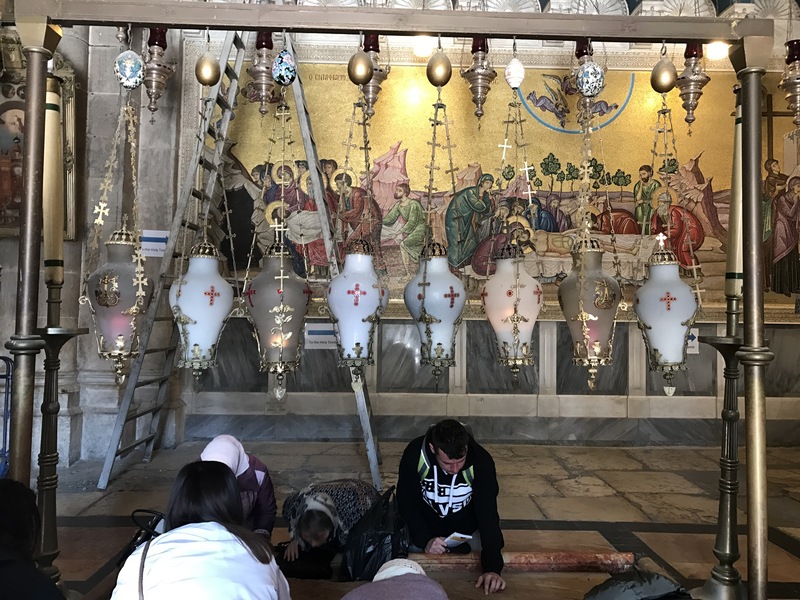 Being able to spend my 25th birthday where Jesus was born, where he grew up, where he walked, where he taught, where he was crucified, where he rose, was my “breath of fresh air.” This trip to Israel changed my life. It changed my views. My perspectives have changed. My thoughts enhanced. My decisions more clear. He placed me in the position to having a better understanding of God’s purpose for my life. This trip brought out emotions I did not even know I had inside. I would FaceTime my family just to cry and tell them how surreal it all was. I waded in the Jordan River. I floated in the Dead Sea. I watched the waves on the Sea of Galilee. 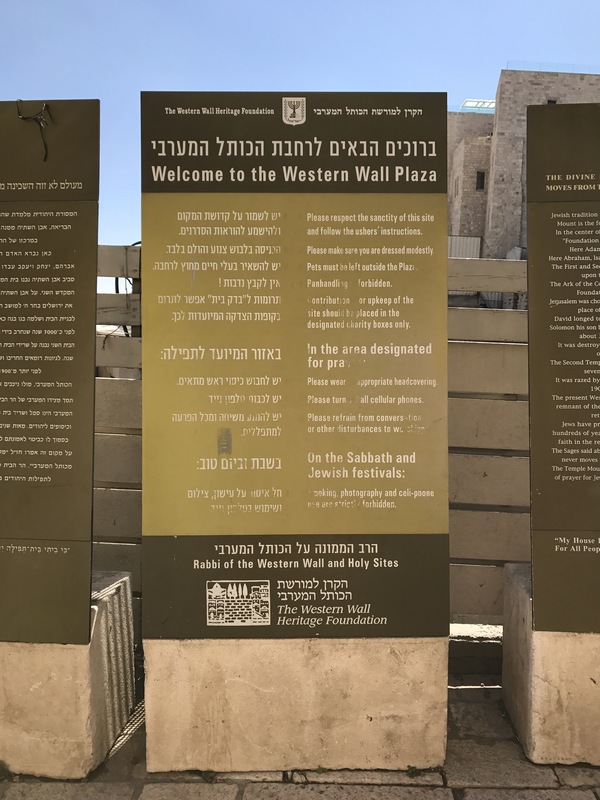 I prayed at the Wailing(Western) Wall. 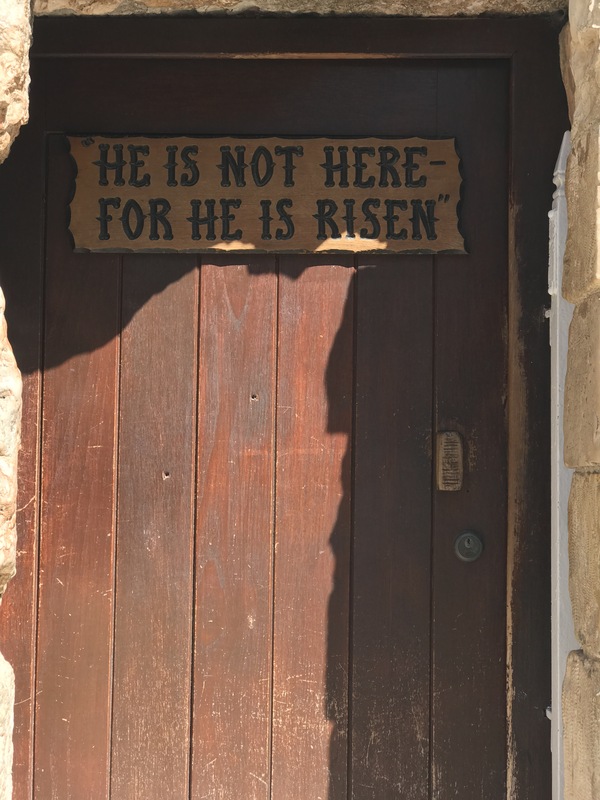 I stepped inside the Garden Tomb. 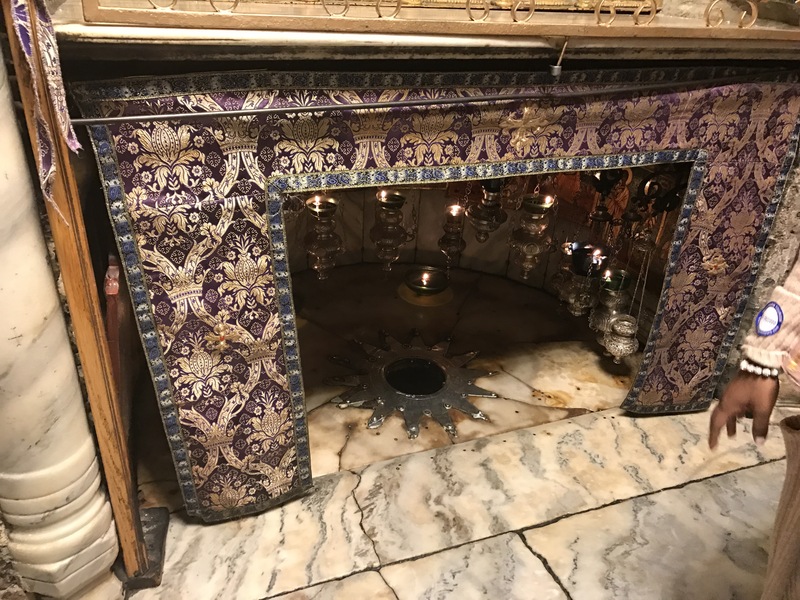 I kissed the ground where Jesus was born. 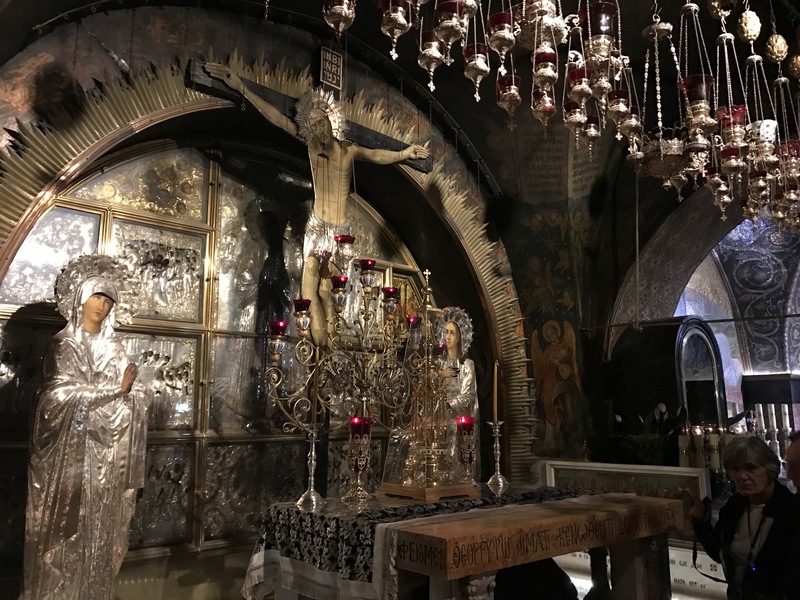 I bowed on the grounds of the Church of the Holy Sepulchre and cried out, “Thank you Father! Thank you Jesus!” For my heart has never felt more full, and my soul more calm. My out of body experience. I recommend everyone traveling here. No matter what denomination, or religion. DO NOT LET THE MEDIA SCARE YOU INTO NOT VISITING CERTAIN PARTS OF THE WORLD. GET HERE!